agreement for over 3,500 SunRun home installations in California, Arizona, Colorado, Massachusetts, and New Jersey. According to PG&E, the $100 million fund is the biggest single solar lease pool ever created. the cost of their monthly electricity payments for as many as 18 years. in exchange for financing installations. 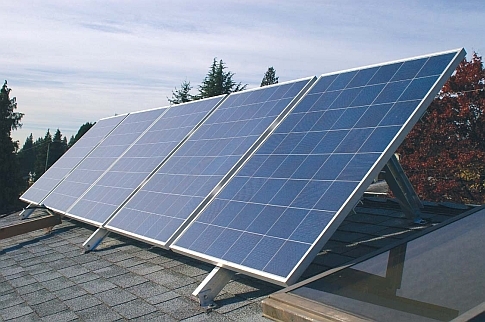 PG&E does have a vested interest in solar leasing programs. As part of the agreement, PG&E subsidiary Pacific Energy Capital gets a federal tax credit of 30% of the fair market value of installed SunRun systems. This deal won’t likely be the last of its kind for PG&E, which previously created a $60 million tax equity fund with SolarCity. While distributed solar systems free customers from the grid–and in turn, from PG&E–the utility reasons that companies like SolarCity will get funding from somewhere. It might as well be PG&E. So keep an eye on the utility–it may give more cash to Sungevity, SunRun, or SolarCity soon enough.